On Friday, the White House administration directed German carmaker Volkswagen to recall close to 500,000 cars saying the automaker used software that had been designed intentionally to circumvent the environmental standards for lowering smog. The notice of violation was issued by the Environmental Protection Agency and accused VW of breaking the law through installing software referred to as defeat device, in Audi and Volkswagen 4-cylinder vehicles from the years 2009 to 2015. The device is set up to detect when the vehicle is undergoing official testing for emissions and to only turn on the full control systems for emission during the testing. The controls are turned off in normal driving, when the vehicles are polluting much more than reported by their manufacturer, said the EPA. Using defeat devices in cars in order to evade the clean air standards is not legal and a threat to the public’s health, said the EPA assistant administrator Cynthia Giles. The EPA, said Giles is committed to ensuring that all automakers play by the same set of rules and the EPA will continue investigating the serious violations. The software was made to conceal the emissions the car gives off of nitrogen oxide, which is a contributor of both smog and ozone. The pollutants are tied to a number of different health problems, including asthma and other respiratory system diseases. 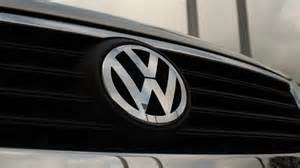 VW was also issued a notice of violation separate from the federal government by the state of California. The Justice Department, the EPA and California are working hand in hand on the investigations of these allegations. These allegations cover close to 482,000 passenger cars that are all diesels and sold in the U.S. since the start of 2009. The notice sent to VW is part of a much broader as well as more aggressive enforcement effort on the part of environmental regulators on the entire auto industry. Analysts have said that it was meant to be a message to all automakers that they will be treated harshly for compromising any federal rules.